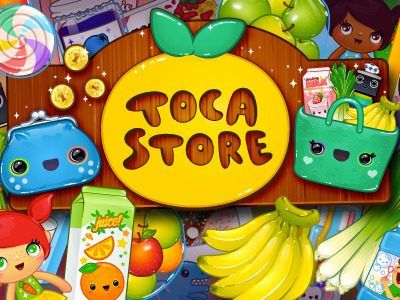 As you probably know by now, we absolutely love all things Toca Boca - they produce the most fun, kid-friendly apps on the market and are absolutely the go-to if any would-be kid app developers want to know 'how to do it properly'. So it's good news day today, to celebrate it being Friday, go and grab yourself Toca Store - the cute till and customer game from the iTunes store for your iPhone or iPad for exactly nought pounds and nought pence. Be quick though, it's a limited offer so get it downloaded pronto. It's kept Charlotte very amused for a few hours after school this evening and got a huge thumbs up! Elsewhere in Toca land we're hotly anticipating the release of the next big Toca app, Toca Band. You will need iOS to play it but it's already looking and sounding absolutely fantastic.